Happy 4th of July! 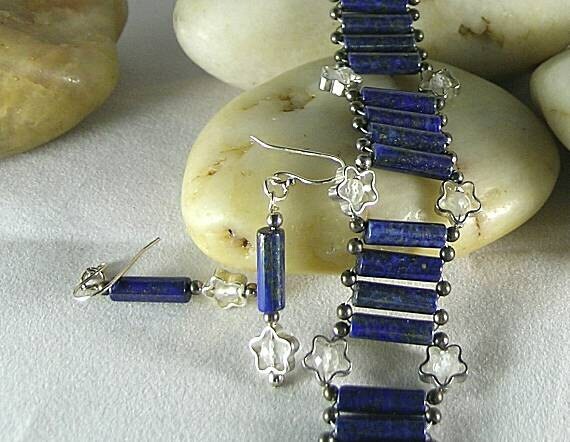 An unusual version of stars and stripes, this bracelet and earring set has the traditional silver/white stars paired with blue stripes in the form of lapis lazuli tubes. 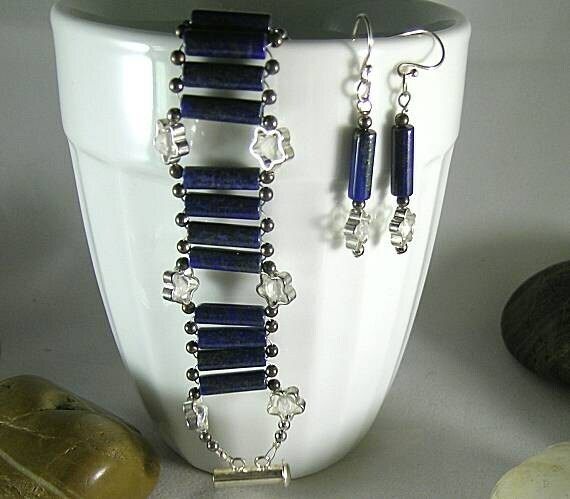 This set was inspired by a lapis lazuli and turquoise necklace found in the tomb of Princess Khnumet, Daughter of King Amenemhet II (1853 - 1806 BCE), a pharaoh of the 12th Dynasty. 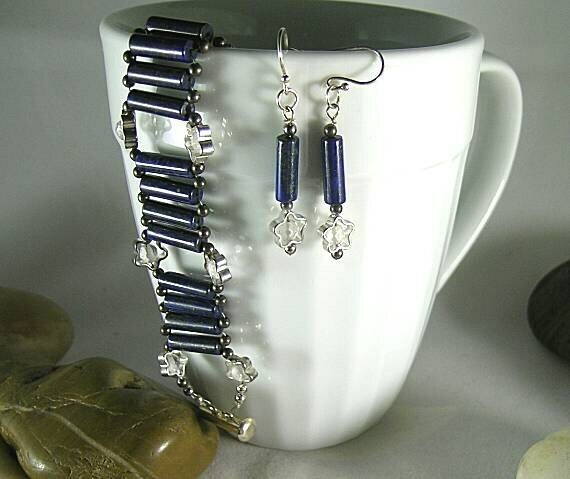 The Egyptian Sky Goddess Nut is represented in a woven ladder bracelet made of 14X4mm lapis lazuli tube beads, 4mm Moonstones in star shaped frames and 2mm metal spacer beads. The closure is a bar slide similar to the ones used in ancient Egypt. The matching earrings use these same beads and measures approx. 1 3/4" in length including the ear wires. The bracelet width is approx 1" and length is approx. 7 1/2 inches. Save $5 when you buy both pieces together! Nut is the Goddess of the Sky, Stars, the Sun, the Moon, Light, Heaven, Astronomy, the Universe, Air, and the Winds.